Easily the best-looking Volvo in more than a generation, the flagship S80 is luxurious, roomy and safe. A pair of highly evolved six-cylinder engines deliver silky-smooth power to S80's front wheels. Inside as well as out, the S80 is welcoming, attractive and understated. The twin-turbocharged T6 version delivers outstanding acceleration. 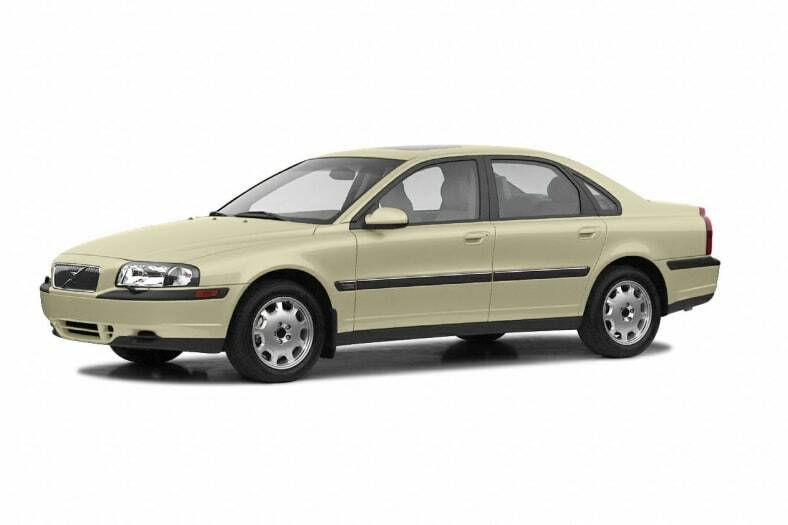 Volvo designed the S80 to compete against the BMW 5 Series, Mercedes-Benz E-Class, Audi A6, Jaguar S-Type, Acura 3.5 RL, Cadillac Seville, Lexus GS, Lincoln LS and Saab 9-5. That's tough opposition, and a few of those cars offer significantly better handling. But the S80 compensates with its near-silent ride and unique look and personality. The Volvo S80 is improved for 2002, with a revised navigation system, improved engine management, and enhanced traction control. The performance-oriented T6 now rides on 17-inch wheels, and all S80 models let the sun shine in through a now-standard power sunroof.